Location: W7 The Cobbles, 28 - 30 Wellington Quay, Temple Bar, Dublin 2, Ireland. 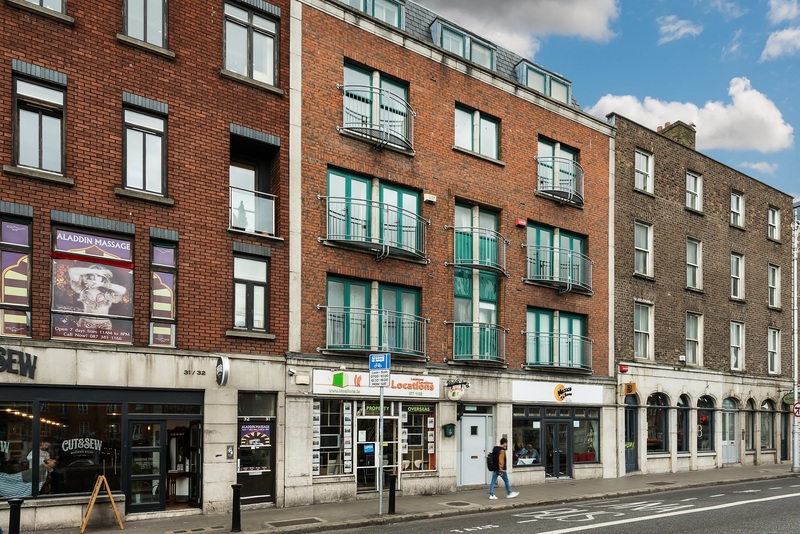 W7 The Cobbles, 28-30 Wellington Quay, Temple Bar, Dublin 2. 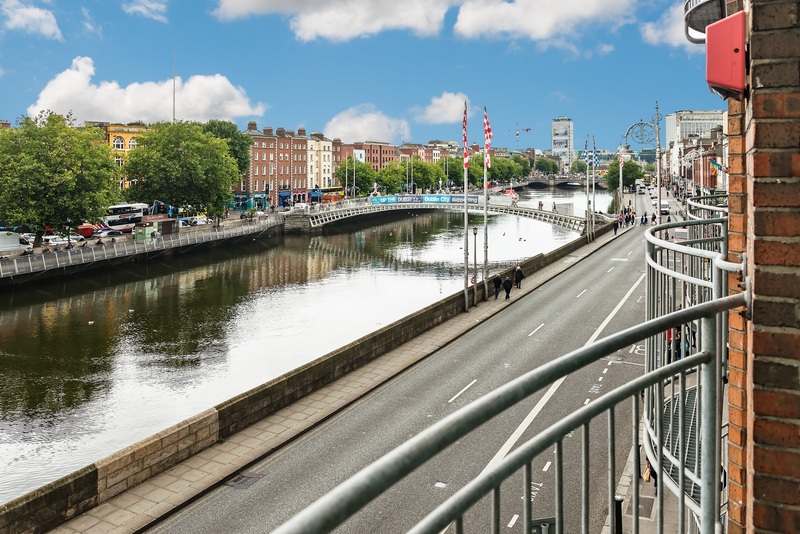 Finnegan Menton presents Apartment W7 The Cobbles on Wellington Quay in Temple Bar, this two bedroom 2nd floor magnificent river view apartment is in the heart of the city. 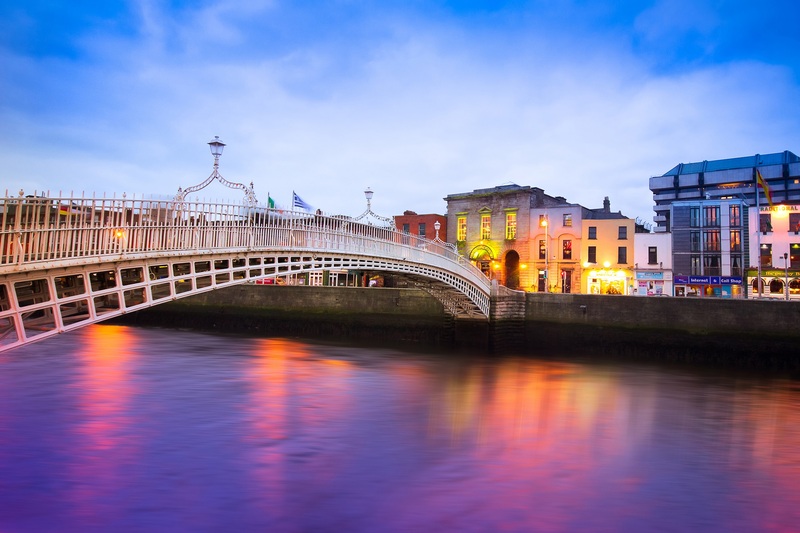 The apartment is between the Ha'penny & Millennium Pedestrian Bridges over the River Liffey. This apartment is just c.40sq.m. / 430sq.ft. but offers bright accommodation including two bedrooms, bathroom and hotpress and kitchen / living & dining area overlooking water in a historic central location. Viewing is highly recommended. Temple Bar is a cultural area on the south bank of the River Liffey in central Dublin, Ireland. 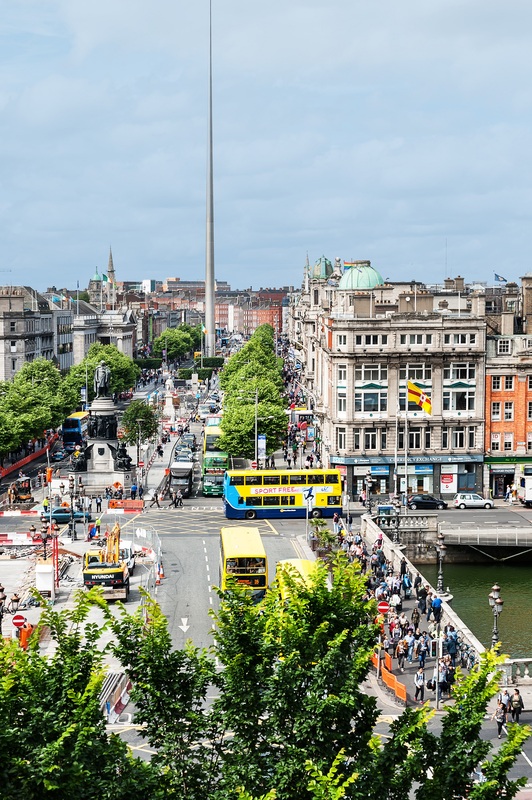 The area is bounded by the Liffey to the north, Dame Street to the south, Westmoreland Street to the east and Fishamble Street to the west. 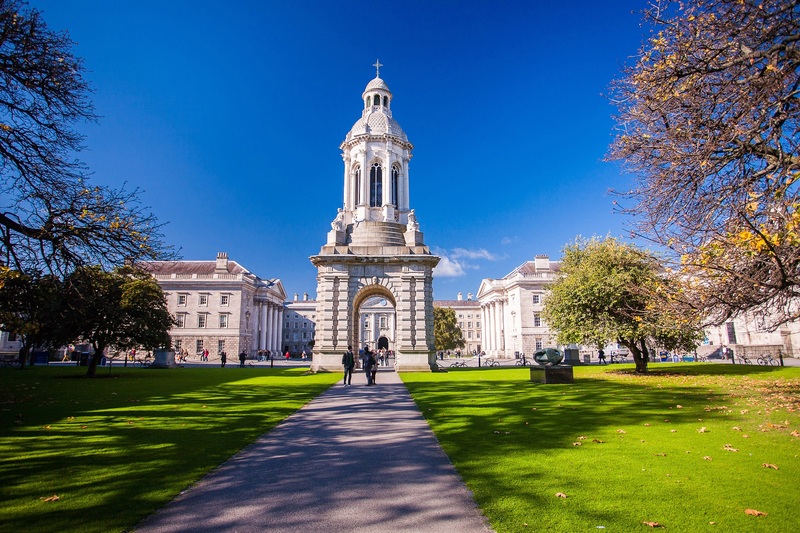 Unlike other parts of Dublin's city centre, it is promoted as Dublin's cultural quarter and has a lively nightlife that is popular with tourists. 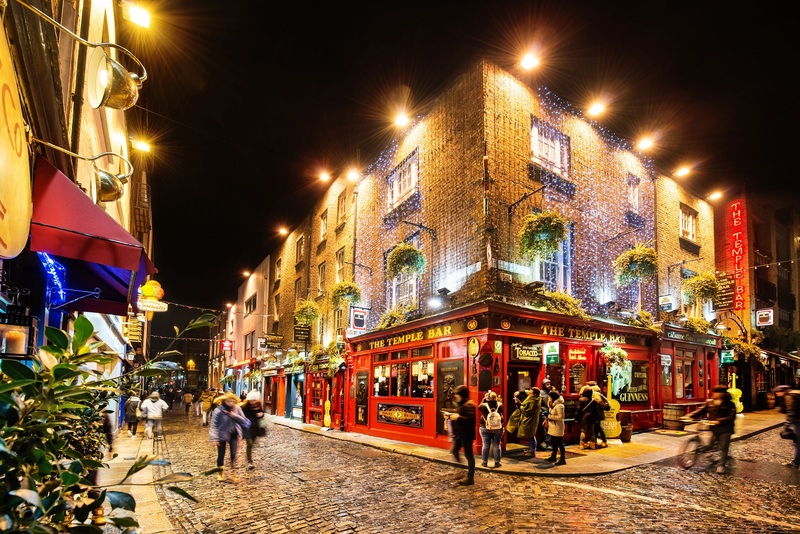 Popular venues include The Palace Bar, The Temple Bar Pub, Oliver St. John Gogarty's and The Auld Dubliner to name just a few. The area is the location of many Irish cultural institutions, including the Irish Photography Centre (incorporating the Dublin Institute of Photography, the National Photographic Archive and the Gallery of Photography), the Ark Children's Cultural Centre, the Irish Film Institute, incorporating the Irish Film Archive, the Button Factory, the Arthouse Multimedia Centre, Temple Bar Gallery and Studios, the Project Arts Centre, the Gaiety School of Acting, IBAT College Dublin, as well as the Irish Stock Exchange and the Central Bank of Ireland. Entrance Hall: Timber floor, alarm panel, intercom & telephone point. 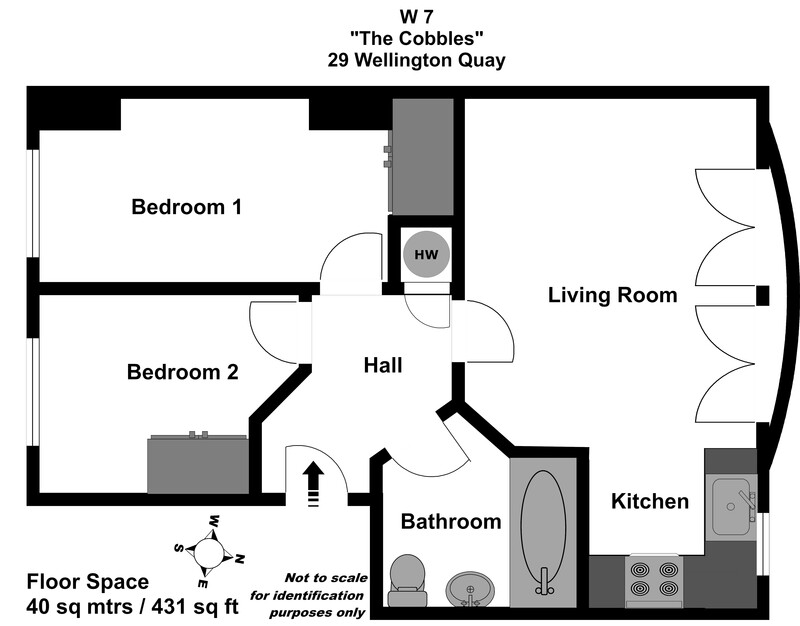 Open plan layout with river views, Timber floor, coving, tv point, thermostat control, Dimplex electric storage heater, two double balcony doors onto a small balcony. River view from kitchen window, original kitchen units and counter with stainless steel sink, tiled floor and splash back wall tiling, coving, plumbed for a washing machine. 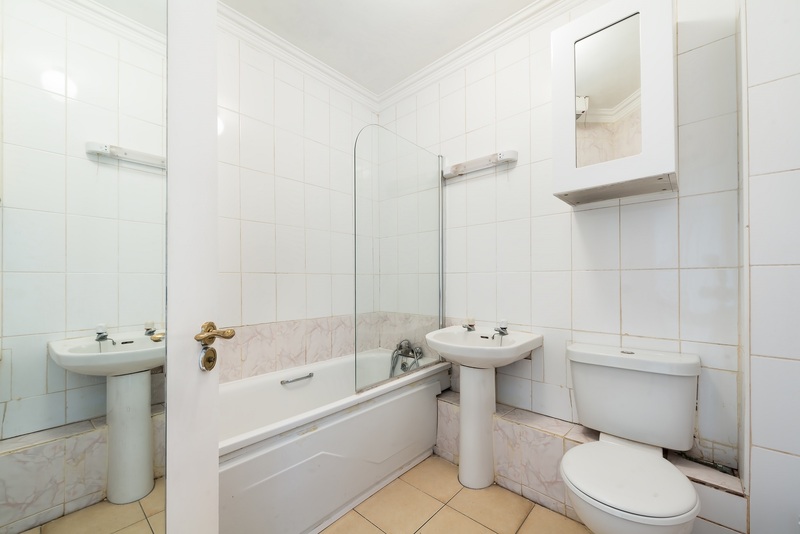 White bathroom suite comprising wc, whb, bath, bath screen, complete wall and floor tiling, coving, vanity cabinet, shaving light, extractor fan and Dimplex heater. 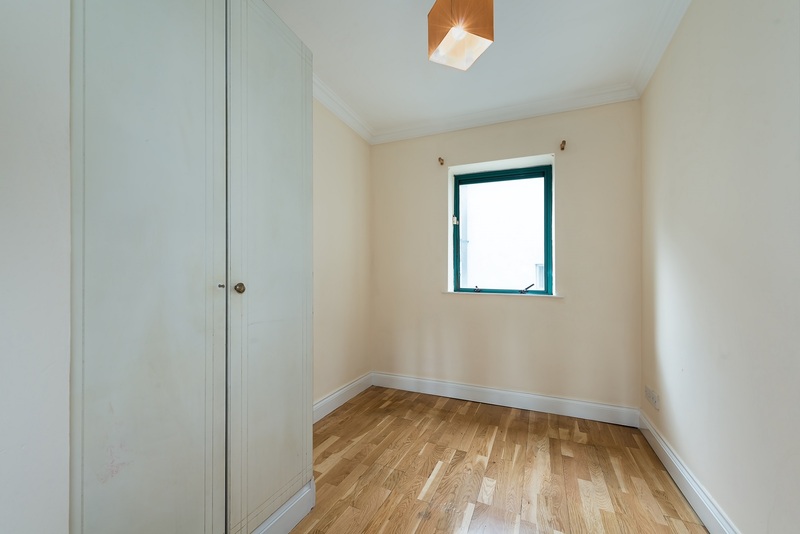 Double bedroom, fitted wardrobe, coving, electric heater. 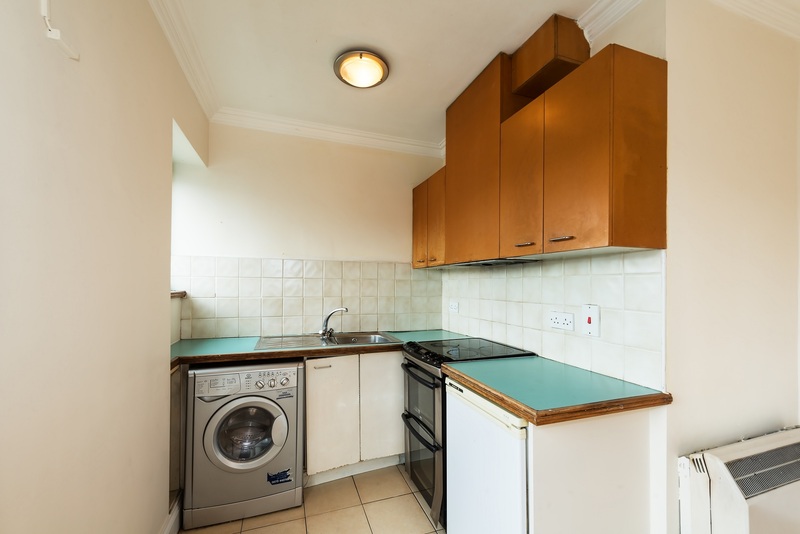 Small double bedroom, fitted wardrobe, coving, electric heater. 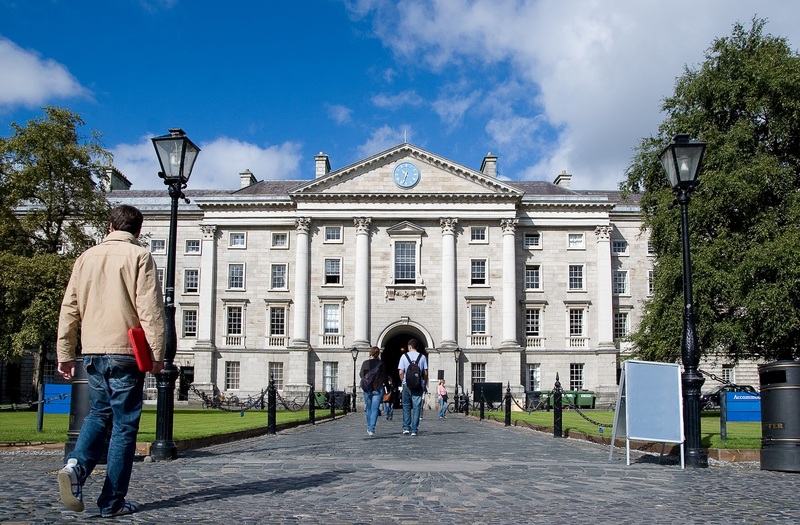 - Close to Meeting House Square & Temple Bar Square. 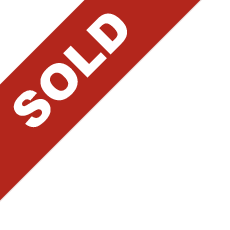 - Great restaurants and nightlife on your doorstep. - Only 8 apartments in this quayside block. - 2nd floor apartment c.40sq.m. with balcony. - Just across from the Italian Quarter. 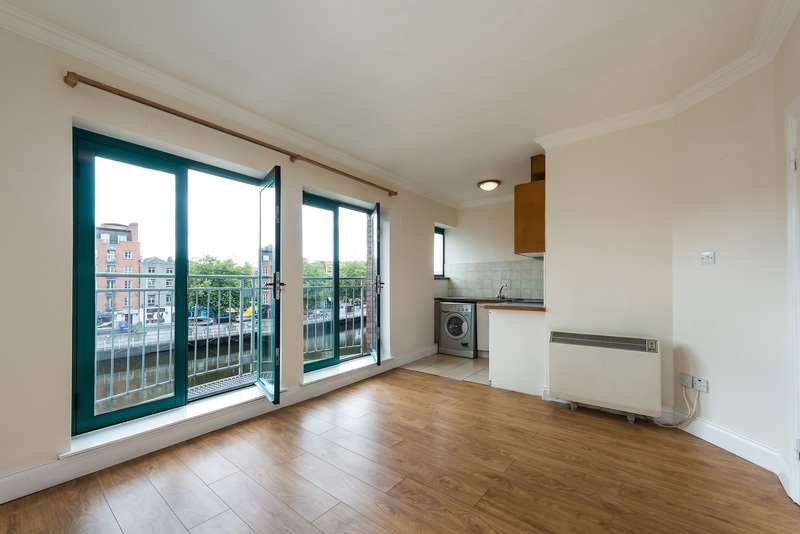 - Excellent city views of the Quays. 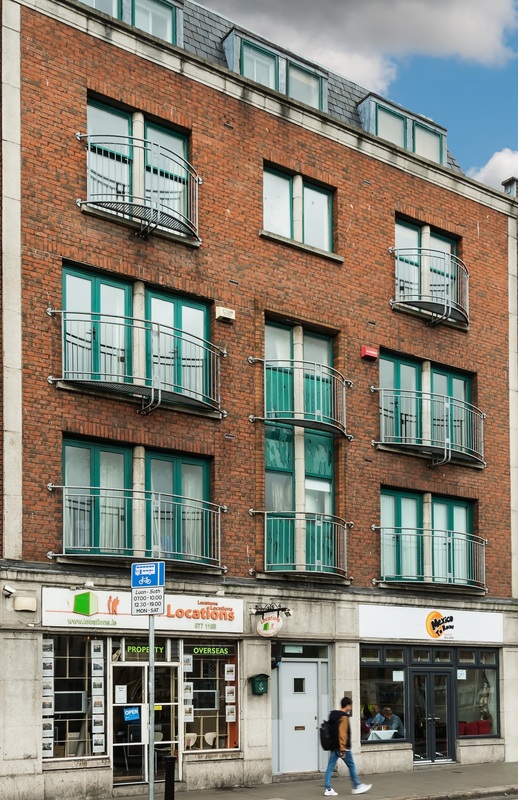 - 2 minutes walk to O'Connell Bridge. 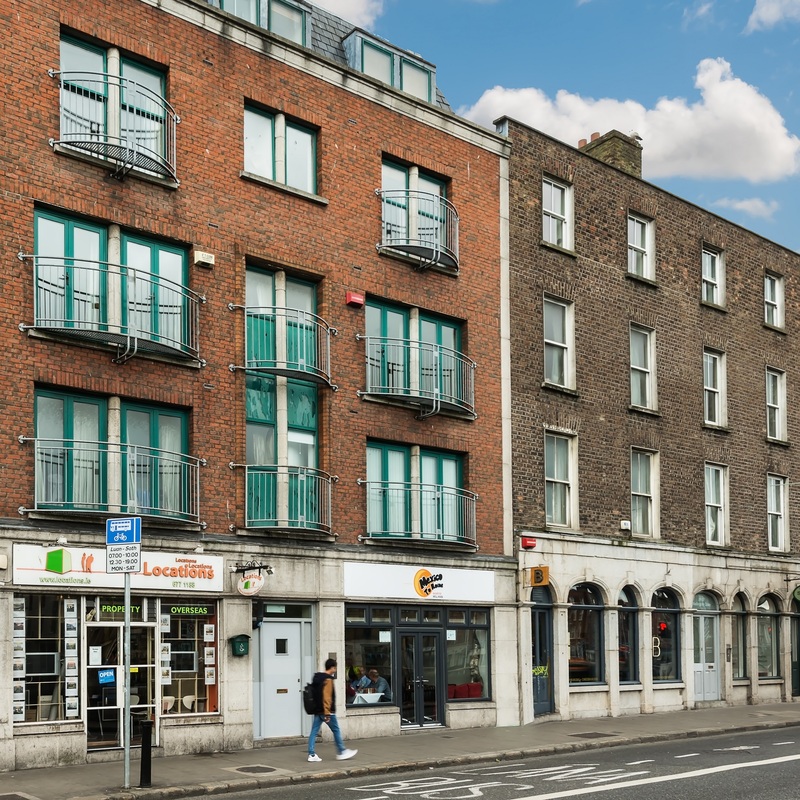 - Close to new Luas cross city stop (Westmoreland Street). - Bus routes in your doorstep. 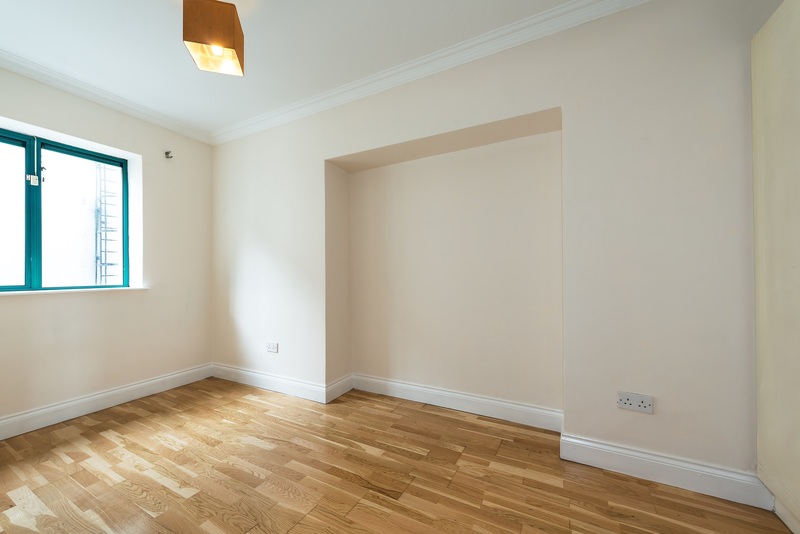 - Well maintained communal corridors with good security doors. On Wellington Quay the entrance to The Cobbles apartment block is beside the Mexico to Rome Restaurant between the Ha'penny Bridge and Millennium Bridge on the south side. No parking space included or available in this block. Management Charge: € 1,164 per annum.